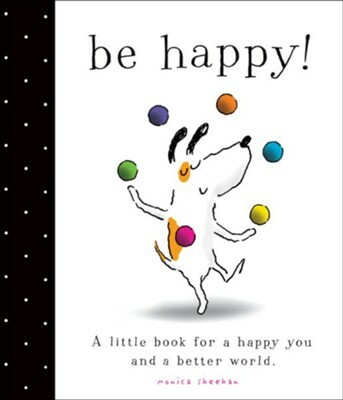 Joy and individuality shine through in this humorous, inspirational picture book for anyone who wants to be happy. Sing and dance a little! And be the best YOU. This sweet and inspirational book reminds us of the simple things that really do make for a happier life: making friends, being thankful, dreaming big, and most of all—being happy! An ideal gift for graduates, newlyweds, new parents, or anyone starting down a new road in life, this jacketed hardcover edition contains all the original content from the board book, along with a bookplate and additional text and artwork. I'm the author/artist and I want to review Be Happy!.